Likud Central Committee approves Netanyahu's proposal on a change in the primaries system. 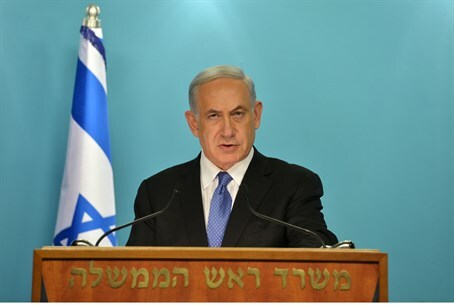 Prime Minister Binyamin Netanyahu secured a victory in the Likud Central Committee on Sunday evening, as his proposal for a change in the Likud primaries was approved. Netanyahu’s proposal stipulates that party members will choose candidates for the Likud’s national list, while the Likud Central Committee will select district representatives. His proposal beat out a proposal by MK David Amsalem, who has long been pressing for Likud to return to its previous system. As the result of the vote was announced, Netanyahu thanked the members of the Central Committee and said, "I want to thank the Central Committee members for showing responsibility, standing behind the proposal and voting for the good of the Likud and for the unity of the movement."